Before my car accident a week ago Sunday I planned on brewing up a brew last week. After the accident I wasn’t in a mood to brew and had a lot of insurance calling/emailing to get all my ducks in a row. Due to the holiday (tomorrow is July 4th) I had a few days off this week and decided I would brew not one but TWO beers! 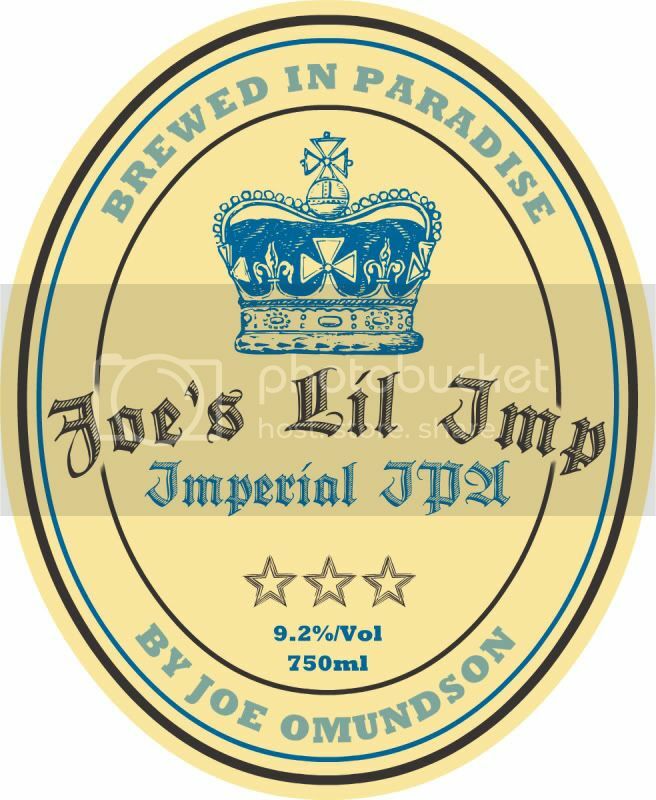 The first I decided would stretch my abilities to build a recipe (made so much easier by the internet and BeerSmith software) and stretch my equipment.I decided to brew two gallons of an Imperial IPA. That is the result of a Honda Civic turning in front of me. I was just minding my own business driving home when a Honda Civic coming in the opposite direction decided to turn in front of me. That’s my baby being towed to its temporary home at the repair shop. I kept myself from blogging about it because there was a lot of questions after the accident, like why would the other driver say “I’m not sure if I have insurance” and then give the FHP officer the wrong insurance. Luckily today I received the confirmation that the other driver did in fact have insurance and then after clearing up some iffy facts that his insurer was confirmed that he was 100% at fault and they would be taking care of my car. OK, I know that is a total first world problem, but I needed to rant after a rough few days. This isn’t exactly breaking news as I’ve been reading about it on other blogs for a while during testing, but Magic Kingdom has added a new interactive game. It is similar to the game found at EPCOT’s Kim Possible World Showcase Adventure (soon to be re-themed as Agent P from Phineas and Ferb. 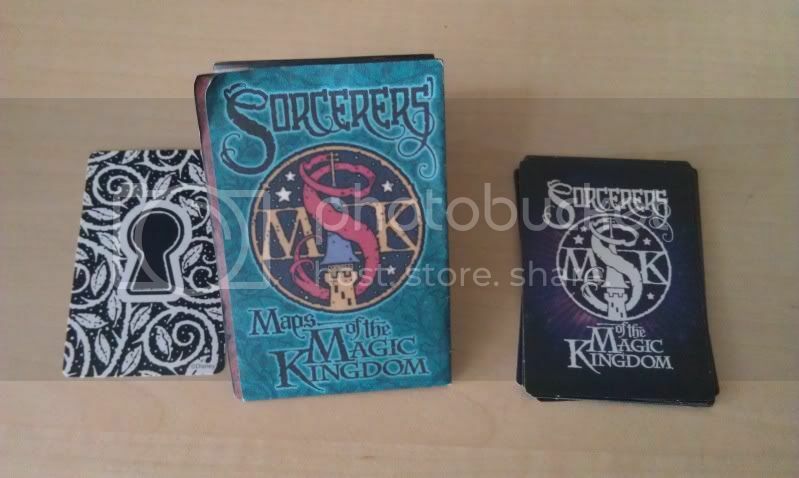 It is called Sorcerers of the Magic Kingdom and it has some key differences to the Kim Possible version. I’m not going to try to explain the game in depth or give away any spoilers, I’m just going to give some basics and my immediate reaction having played it a bit. First thing you do if you want to play is go to one of the Sorcerers Recruitment Center. The main one is in the Firehouse on Main Street. Another is in Fantasyland (but I haven’t been there yet). You will see a short video giving you an overview of the story, receive your first set of cards and then get a quick instruction on how to play. Today I will tell you about something that is (new to me) that 7-Eleven had at the counter screaming at me “BUY ME” so I did. Yes, they come in Strawberry and Grape flavors. The fine print points out that each box has four individually wrapped “bars” and each “bar” is only 60 calories! So sitting here I have a measly 480 calories! I like that they are individually wrapped and are the same basic size as the individual kit-kat bars. So there they are…Cute little 60 calories of Nirvana…or not? 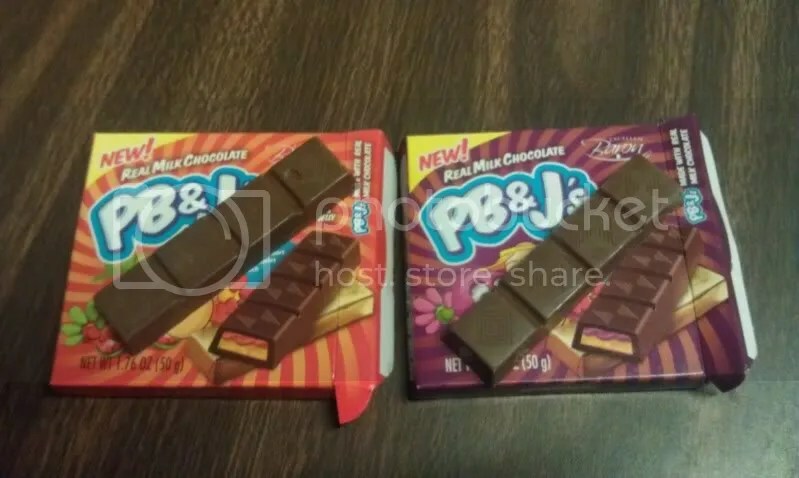 I tasted both bars and found that they were pretty darn good, but with a major drawback. The peanut butter, or lack there of. 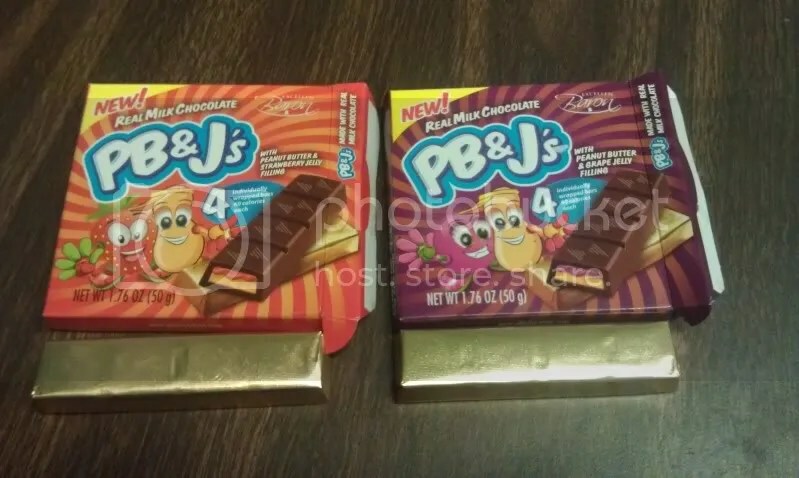 The chocolate was tasty and the jelly portion stuck right out, but where is the peanut butter? There is definitely some peanut butter looking substance mixed in with the jelly but the flavor wasn’t there. I LOVE peanut butter, but the flavor is desperately missing from this PB&J. After tasting and trying to deconstruct it I found that by itself the peanut butter was bland. 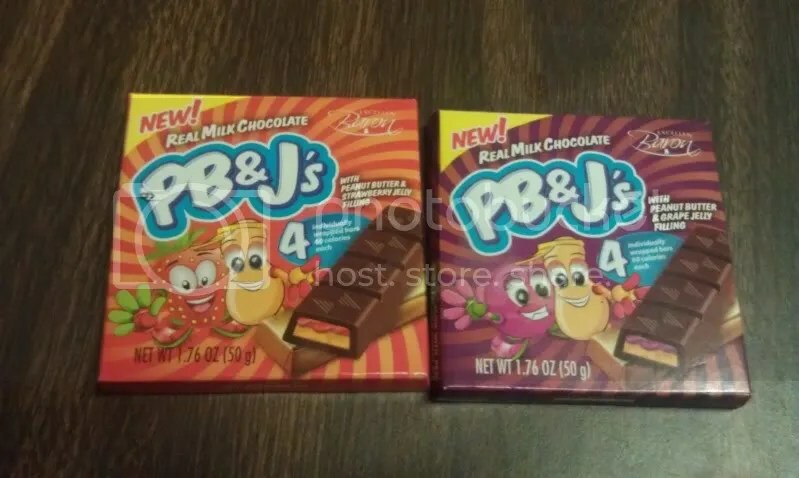 How is it going to compete with the strong chocolate and jelly flavors? It just couldn’t. This is probably a good thing for me as I could get huge buying a lot of these, but they were close. Very close to something very good! 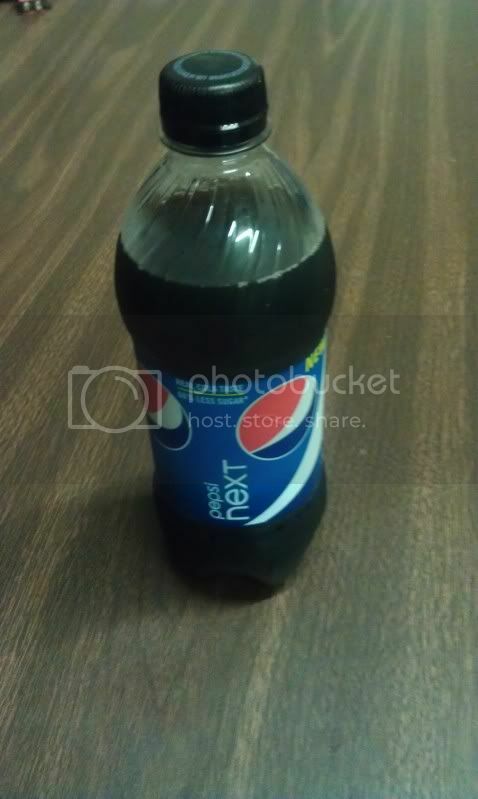 Just the other day I walked into 7-Eleven and found a new soda from Pepsi Cola, Pepsi Next! It advertise’s “Real Cola Taste 60% Less Sugar” which got me REALLY excited for a moment until I noticed the asterisk next to sugar. Their still isn’t any real sugar in Pepsi Next, just High Fructose Corn Crap Sugar. I decided to go ahead and taste test this new Pepsi Product to help YOU internet reader make a better soda decision. 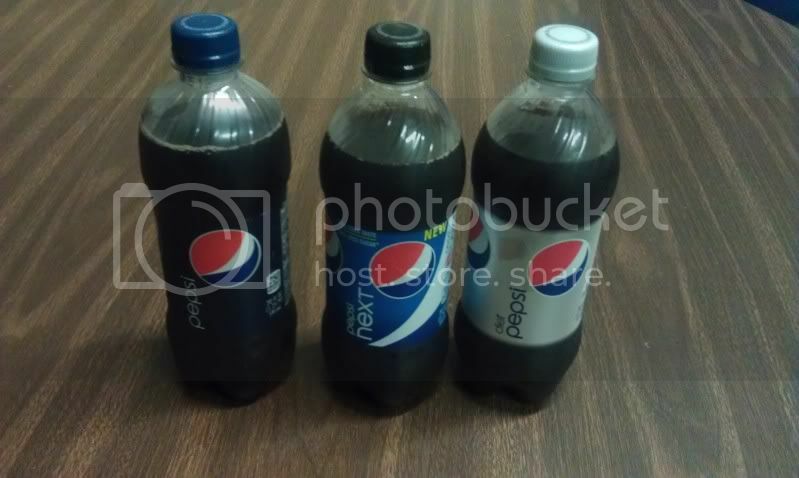 To help you make the BEST decision I’ve decided to taste test Pepsi Next up against Pepsi and Diet Pepsi. First some technical stuff to get out of the way. I come in to this taste test with the following soda preferences. I prefer Coke over Pepsi and Diet Pepsi over Diet Coke. My favorite soda is actually Dr. Pepper and I think sodas are WAY better when made with REAL sugar. Dr. Pepper Throwback is amazing and Mexican Coke (served at Bob’s Potatoes) is great! Also, while I enjoy Pepsi Max and Coke Zero (preferably Cherry) I have not included them in this taste test as I believe they fill a different soda taste nook. Alright, I decided to drink all three straight out of the fridge without any food. 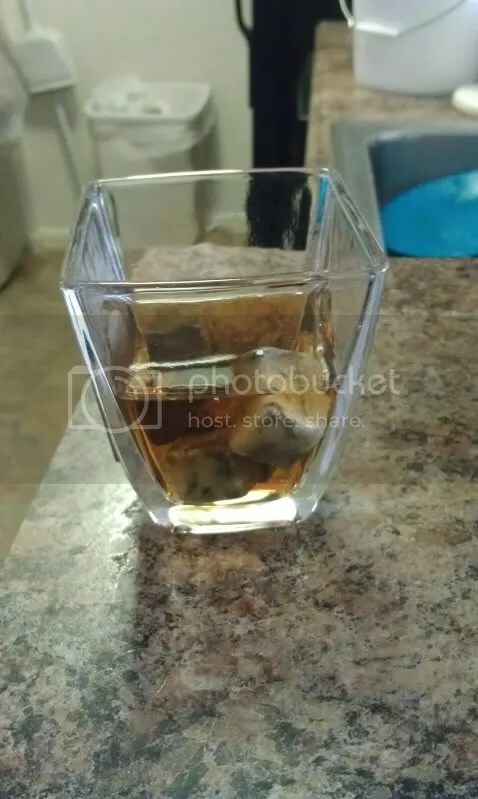 No cups, no ice, just the soda out of the 20 ounce bottle. So what do I think? I actually think it is better than regular Pepsi, but mainly because it doesn’t have that horrible HFCS super sweet after taste. 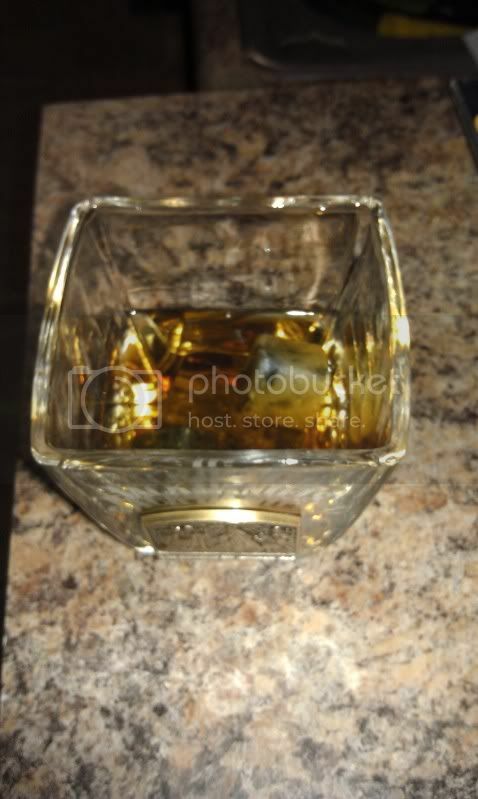 I also think it has more flavor than Diet Pepsi probably because it has some HFCS instead of that aspertane stuff. Now some facts, Pepsi clocks in at 250 calories for the bottle, Pepsi Next has 100 calories and Diet Pepsi clocks in at 0 calories. It’s very obvious that Pepsi is trying to fill a void between the full calorie and no calorie sodas in their lineup. The question will come up as to whether it is good enough to take the Zero calorie position from Pepsi Max (which has a better name) or whether it will be good enough to convince Diet Pepsi drinkers to take the extra calories. I think that I would purchase it again if I was looking for a lower calorie option and Cherry Coke Zero wasn’t available. So a while back JC & I went to ride the Fun Spot Ferris Wheel (on a whim) and I saw a sign for a place called “Bob’s Potatoes” but it did not appear open (because it wasn’t yet). I got excited because I thought about this place we went to in Huntsville, TX with JC’s cousin. Potato Shack served just about everything and anything inside of a baked potato. It was AMAZING! If you are near Death Row in Texas, check it out! 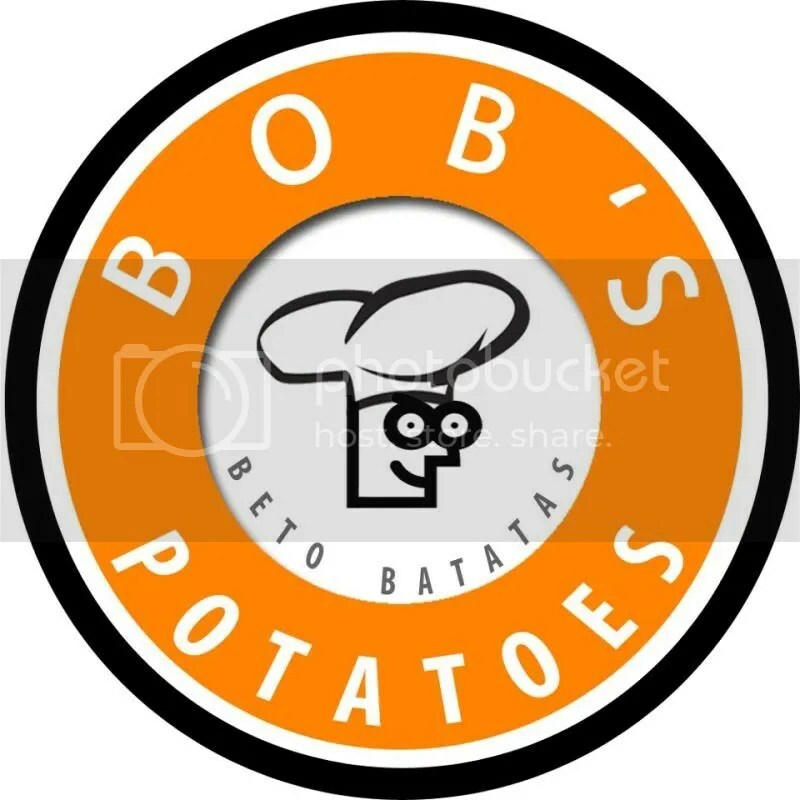 After one quick google for Bob’s Potatoes I found nothing and forgot about it. Fast forward to a month or so later and we hear about it opening and find out it is NOTHING like the Potato Shack. Bob’s Potatoes is a Rosti Potato place. We decided to try it out. First off, the guy in the logo is SUPER CUTE! He (and the name) reminds me of own of my guilty pleasure TV shows Bob’s Burgers. Now, I will say that unlike Bob’s Burgers there wasn’t a fire when they tried to open, their are no weird kids running around in capes and it’s not a burger joint! Alright, I know a minute ago I said “rosti potato” like it’s no big deal. I’ll be honest, I had absolutely no idea what that meant when I read it for the first time. I googled it and came up with this on Wikipedia: Rosti. It’s a Swiss dish of potatoes in a frying pan and it looks very similar to what Bob’s serves, but it’s not exactly it! Bob’s Potatoes is a “Brazilian Rosti” and they take the potatoes and form them around a variety of meats and veggies then fry them in a frying pan (just like the Swiss version). They had a ton of variety and on the recommendation of the gentleman working we decided to split a medium (they have two sizes) Carne Seca. Had the gentleman not said that the medium was big enough for two, we probably would have gotten a large or two mediums, but wow I wish I took a picture because it was HUGE! Carne Seca is Brazilian smoked beef with cheese and onion and it was all stuffed inside shredded potato. JC and I looked at this huge mound of potato that was in front of us and were like WOW! I dug into it and it was delicious! I love potatoes and this was amazing. It’s so simple, yet so delicious. Really, their medium dish easily served JC & I for about $12 total. Awesomeness and Delicious. To add to the awesomeness they had Mexican Coke! Yes, Mexican Coke! Real coke! It’s made with sugar instead of corn and comes in a glass bottle! We also got some free soup (to try because they have JUST opened). The soup was delicious. I have absolutely no idea what it was though. If I had to guess it had spinach and some sort of squash? 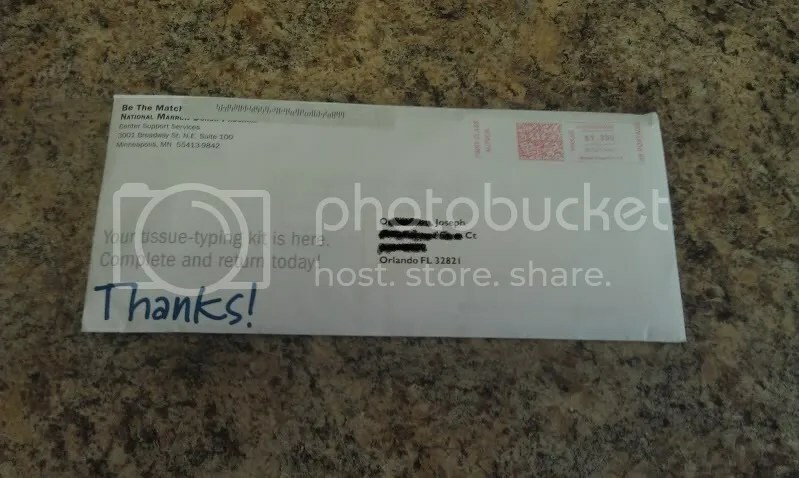 Man, I really wish their website worked. Now, they have a website, but it is obviously not quite ready for prime time. Bob’s Potatoes is a one of a kind place to me. I’ve never seen any place like it and definitely not in the touristy area of Orlando that I live. I wish their website had the menu up so you could see the options they have! This is an example of a small, family owned business that is just starting out. It is a great little concept and I hope they can survive. 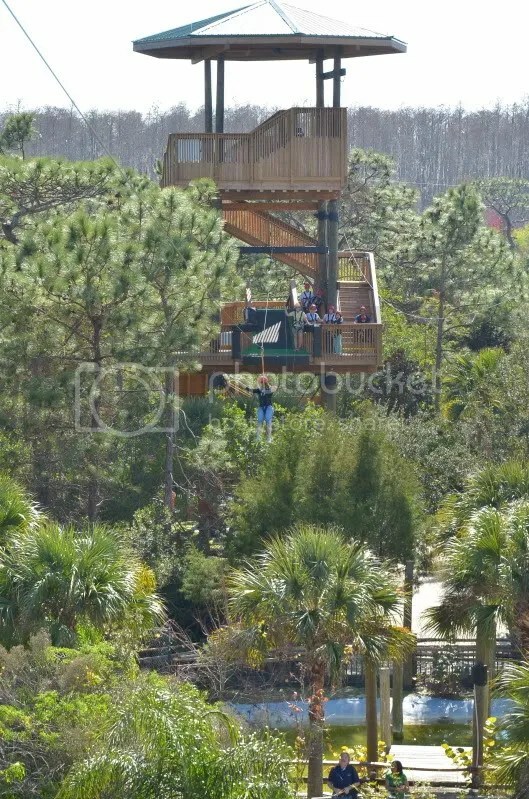 If you live in Orlando or are visiting you should check it out! It is located in the strip mall at the corner of International Drive and Kirkman Road. It is near some great outlet shopping and Fun Spot! Check it out! As I’ve written about here before I’m a regular blood donor! I started out by donating plain old whole blood. That allowed me to donate a pint of blood every two months or so. Since I was a good bleeder (it’s a talent I swear!) they asked me to do automated donations. Now I regularly (or as regularly as I can with my work schedule) donate platelets using a machine. 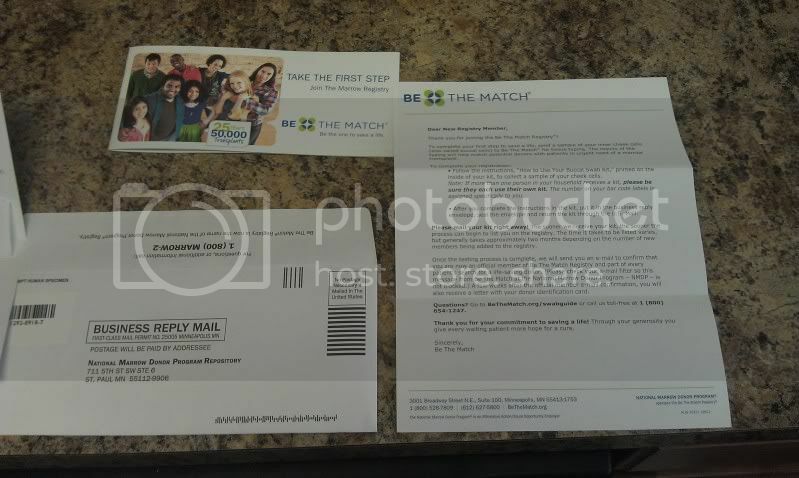 From donating I’ve seen signs and received emails about signing up to be a blood marrow donor. I hate to hear stories of people sitting and waiting for a donor and possibly dying without ever getting the help they need, so I decided to sign up! I started out by going to BeTheMatch.com. I read the information and decided I should sign up. This is the interesting stuff! 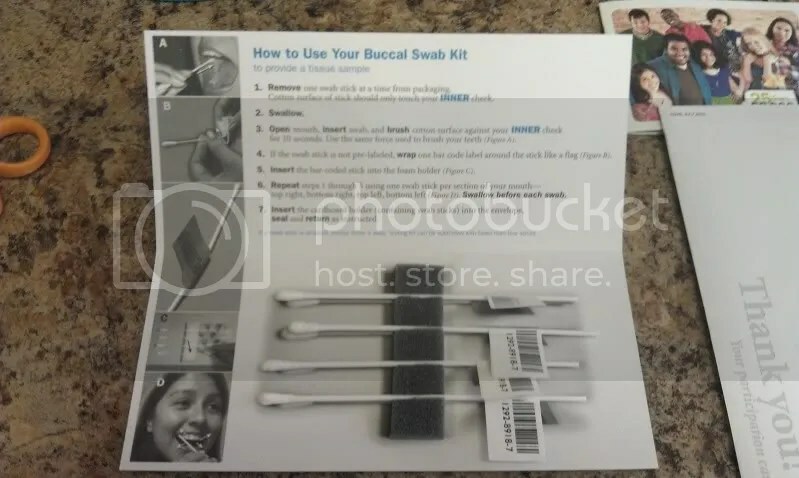 On the left their are four sealed swabs for me to use and a foam holder to hold and send them back. 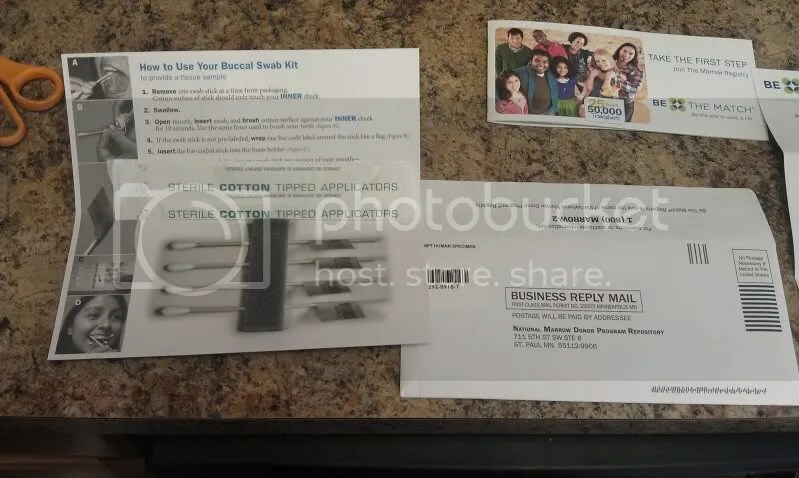 So I followed the instructions and swabbed my mouth four times, tagged them with my unique id sticker and placed them in the holder. So I sealed it all up and sent it off to Minnesota. 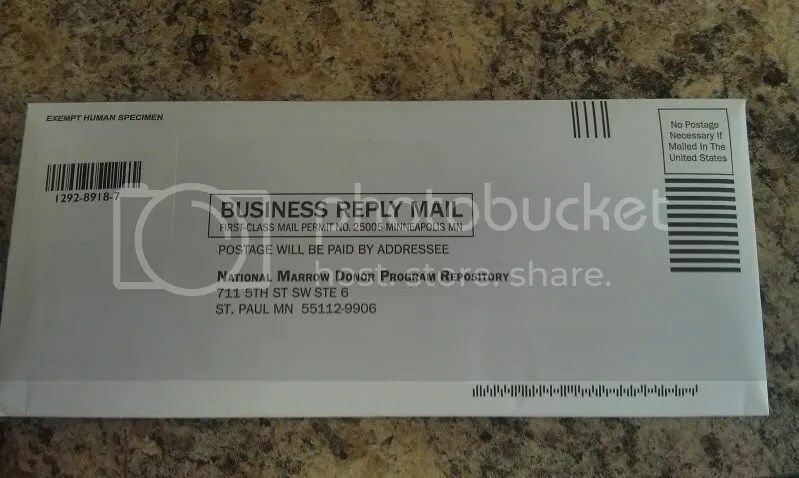 Interesting that my DNA is heading off to Minnesota as most of my relatives are from Minnesota! Do I know if I’ll match? No, but if I do I might be able to help save a life. Since I don’t have any important talents like a surgeon this is a small way that I can really save a life! I know not everyone likes blood or needles (they don’t bother me at all) but I recommend everyone take a look at BeTheMatch.com and give it a thought. You might Be The Match for someone! 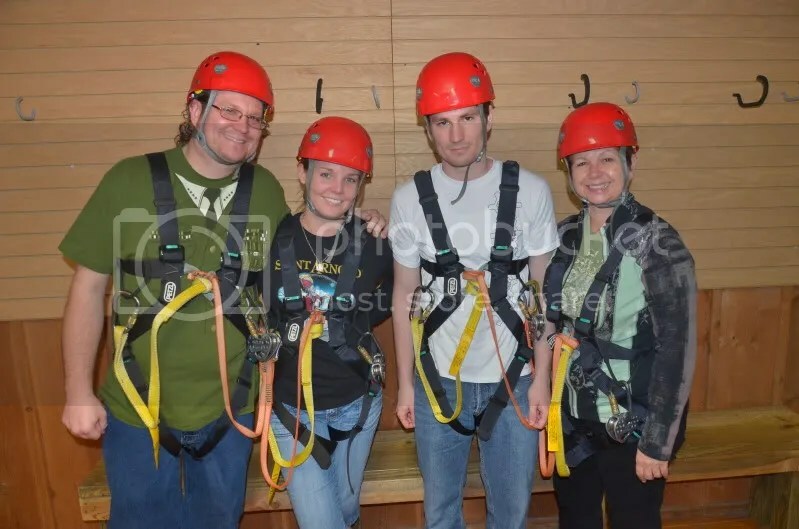 On Sunday I had my first Zip Lining experience! 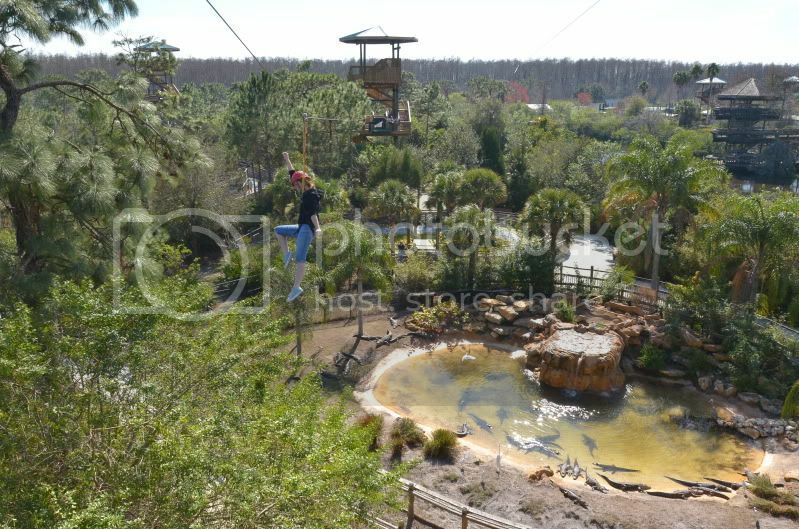 We went to Gatorland and rode on their Screamin’ Gator Zip Line and it was a blast! Me, JC, Danny and Mom ready to go! The Gatorland Screamin’ Gator Zip Line is 1,200 feet long (total) and at the top is 65 feet over hundreds of gators and crocodiles! We all had a lot of fun! Look at those hungry hungry gators! 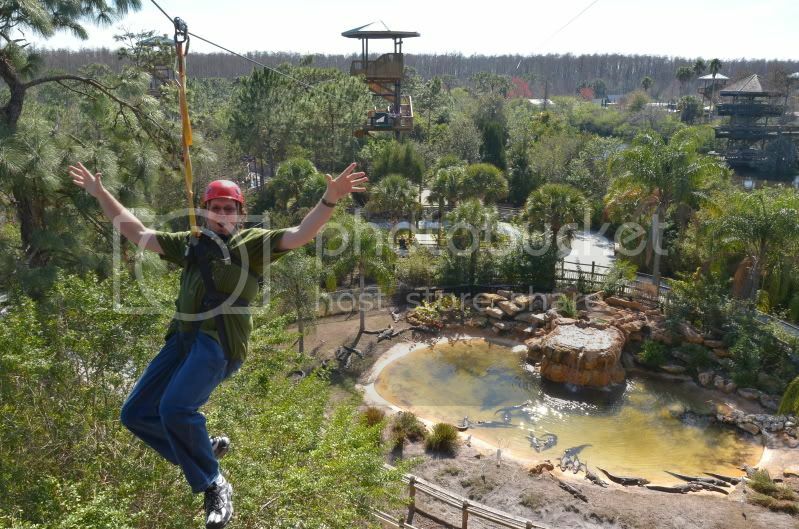 I would highly recommend the Zip Line at Gatorland. I had a blast! The guides were hilarious and we were flying over GATORS! Check it out if you get a chance! 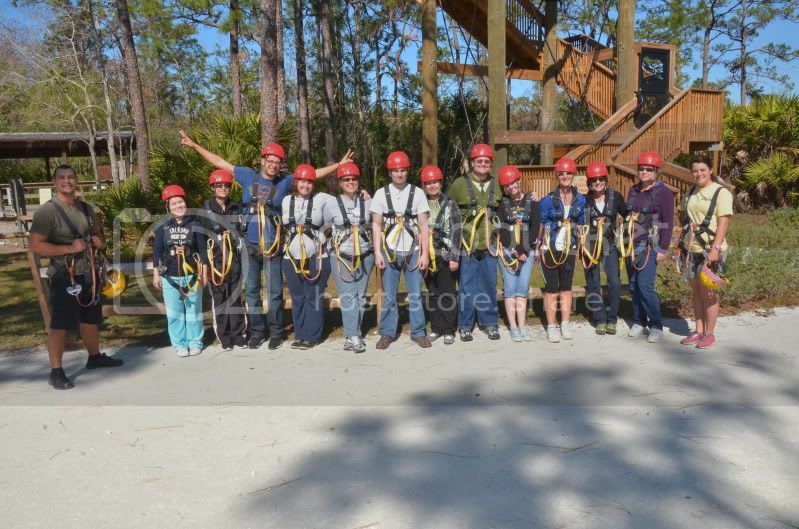 My dad is afraid of heights, so he did not partake in the zip lining, he was caught in a picture or two! There is dad watching JC fly! Also, if you are interested in all 106 photos from our tour, check them out here!